I have no idea what type this is. The body is a pretty metallic looking silver with black and reddish/orange accents. I wouldn’t get any closer to accurately tell if it was red or orange dots. The legs were green. This is an Orchard Spider, one of the Leucage species in the Long-jawed Orb Weaver family Tetragnathidae. 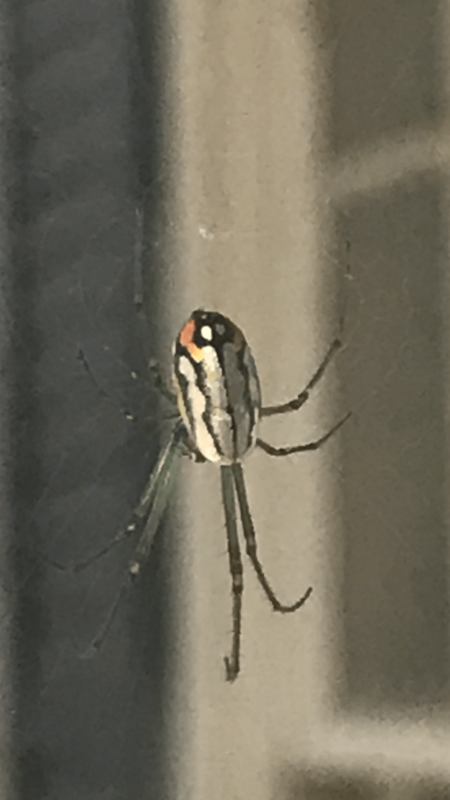 Have a look at https://spiderid.com/spider/tetragnathidae/leucauge/ for different species to compare with your spider.